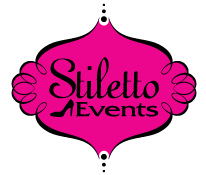 Stiletto Events is a full-service custom event and wedding planning company located in the beautiful city of Denver. Our team of certified wedding planners specialize in making your event stylish, memorable and a true reflection of your personality. Stiletto strives to form close relationships with our clients and vendors to ensure every last detail is planned and executed with perfection. We are genuinely passionate about every event we plan regardless of size or cost. Our belief is that every special event should truly be a work of art. 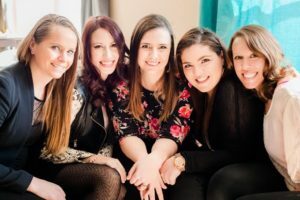 Stiletto Events has been featured on top blogs and magazines such as Rocky Mountain Bride, Style Me Pretty and Colorado Wedding Magazine. They have won top awards such as Denver’s A List – Best Wedding Planner and WeddingWire’s Couple’s Choice Awards. As one of the top Denver Wedding Planning companies, we strive to be the best at everything we do. As of fall 2012, Stiletto Events added to their already great wedding planning services by acquiring Oakes Fields Wedding and Event Florist. Now, you can get your wedding planning and floral planning in one stop and at a great price! Combining services allows us to pass the savings on to you, the client! Happy Flowers for Happy Brides! Whether you prefer a tight nosegay of pink roses, a garden inspired cascade, or a totally contemporary bouquet of orchids, we will make it beautiful, and more importantly, just for you. © 2011-2016 Stiletto Events, LLC | All Rights Reserved.